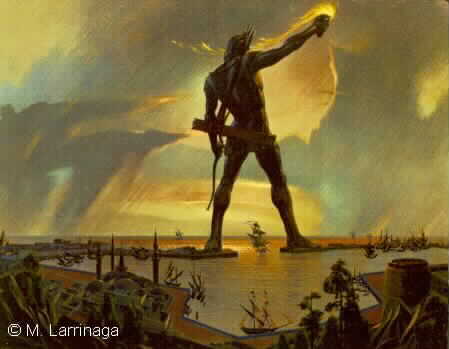 The Colossus of Rhodes is located on the island of Rhodes. It was a bronze statue of Helios (the God of Sun). It was about 120 feet tall.